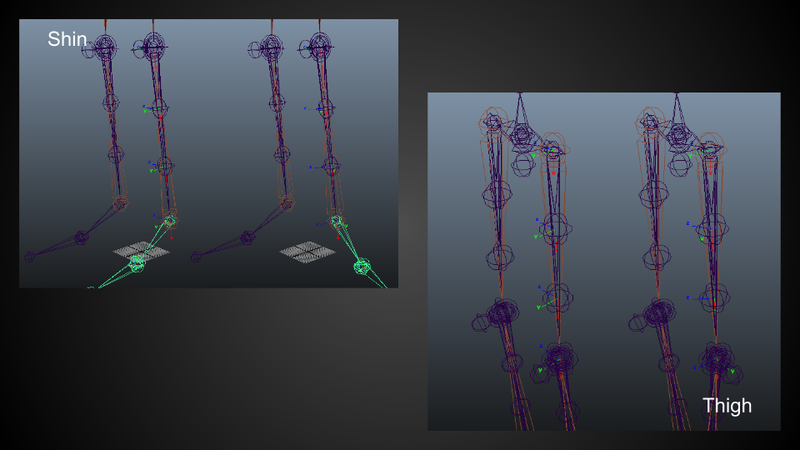 During my Spring 2015 semester, I conducted independent studies on rigging for 3D models. 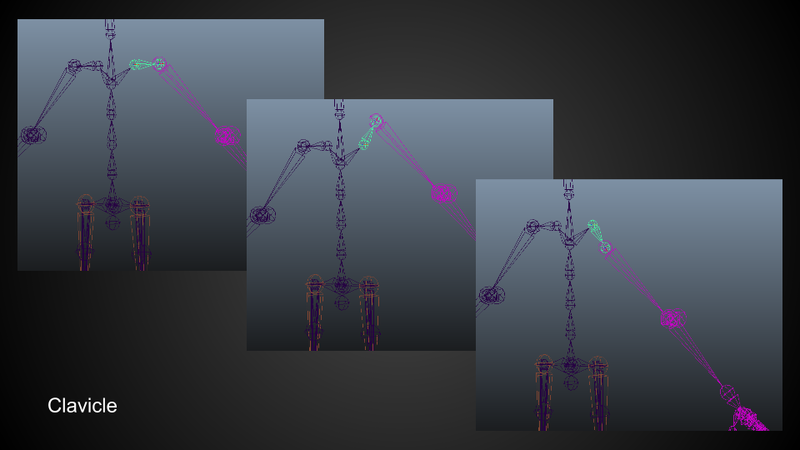 Prior to these studies, I had only worked on basic forward-kinematics rigs. 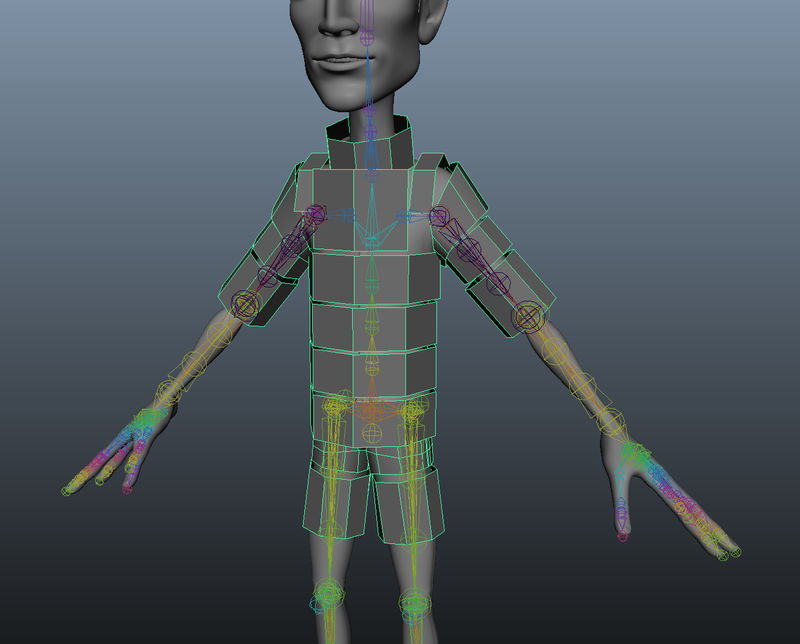 I have since learned how to create rigs in Maya that are far more complex, yet extremely easy for animators to use. I have also learned about writing custom tools for Maya in both MEL and Python. The final rig I worked on is far more sophisticated. I have been working alongside another tutorial series from Digital-Tutors. I decided to continue with tutorials using humanoid characters to simplify questions of anatomy while learning these new techniques. The feature highlights of the new rig include twist systems, volume maintenance, proxy cage skinning, more complex foot roll systems, constraints, and dynamic parenting/anchoring. Twist systems in the shins and thighs distribute rotation across the limb for more natural deformations. Similar systems are used in the arms and neck. Additional joints follow the angles of the elbows and knees help maintain volume around these joints. A similar technique is used in the buttocks. 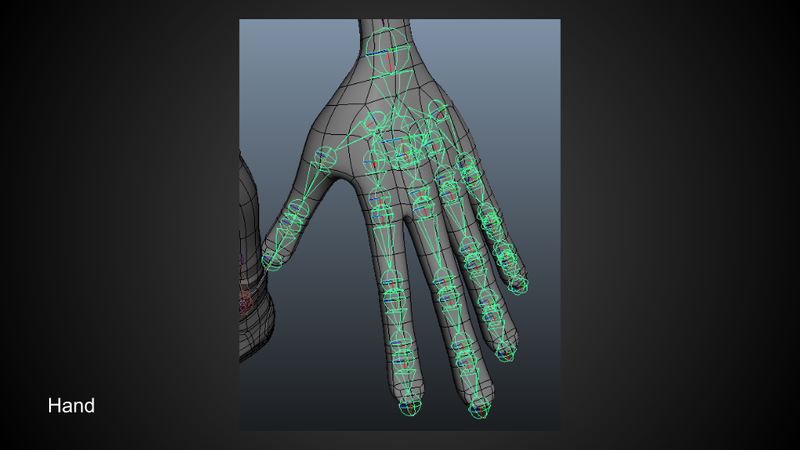 Dual-joint systems in the fingers compliment the way the mesh is constructed. When combined, this allows the fingers to maintain volume and bend naturally. The clavicle is connected to the rest of the arm via a point constraint rather than the usual joint hierarchy. This allows the shoulder to move around without altering the rotational posing of the arm. Additional skinning techniques like the use of a proxy cage simplify the skinning process for more complex geometry. I created my first more advanced rig with the help of a Lynda tutorial series. Some of the more interesting features of this rig include IK-FK switch systems, foot rolls, and multi-dimensional facial controls. As my first step, I started with a beginner’s tutorial series from Digital-Tutors. 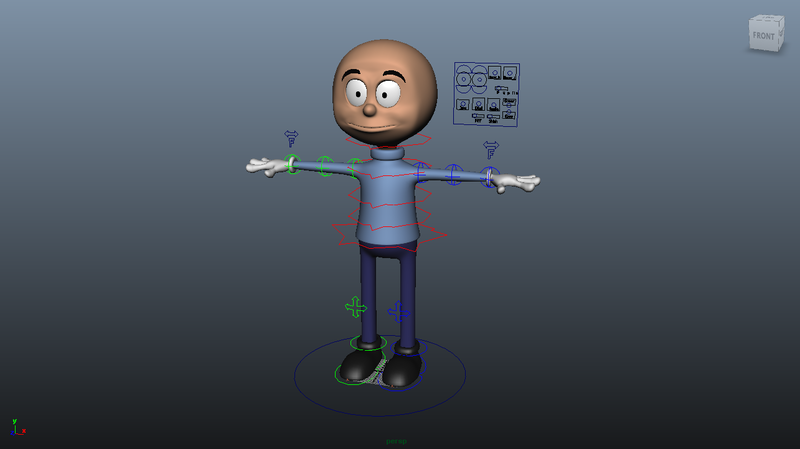 This allowed me review the basics of rigging and make sure that I had all the fundamentals I needed before diving into a character. I also conducted my first IK tests. Initial IK test with a mechanical arm.